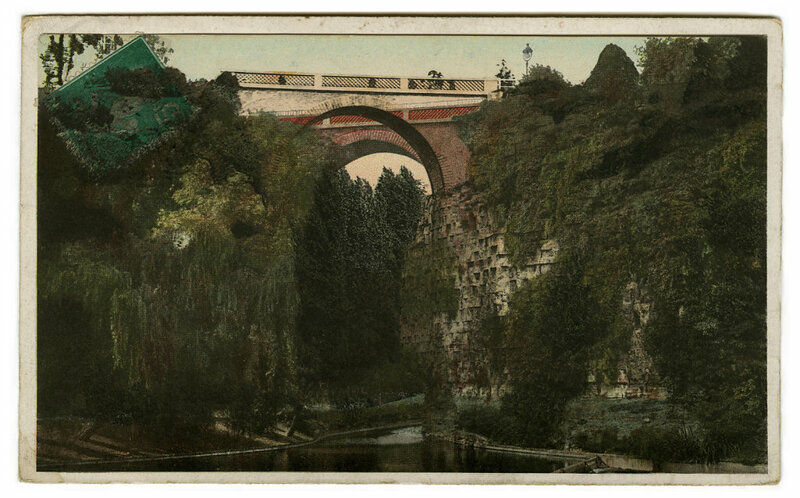 This image is a compilation of 4 postcards of Parc des Buttes Chaumont in Paris. Each one is from the early 20th Century depicting the same structure but from different view points. The image creates a different image of a new dystopian architecture.